This is a small place in Meena bazaar which serves delicious food and had invited me to try it out. It is located on the road that goes to the Fahidi souq. You can see it from the car itself, but we didn't know that initially so we parked and roamed all over the place and it took us a long time to find it. There is only outside seating here which is good enough during winters. Since it was a winter night, we started with some tea. I had a cup of karak tea which was quite good. And my friend had a ginger lemon tea. I liked this one more; it wasn't overly lemony. They have some interesting parathas. I'm a fan of pav bhaji and when I saw this is the form of a paratha, I just had to try it out. This was served hot and it was really delicious. All their parathas are served with dal, curd, and chole. 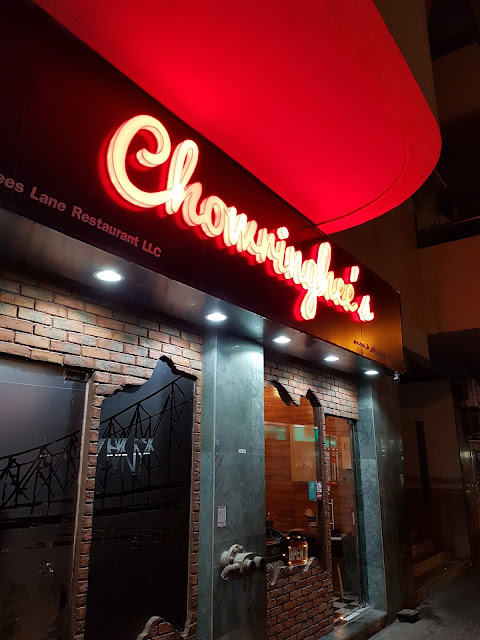 This Kerala restaurant invited me to try out their food and I liked it overall. They gave us a lemonade of sorts before starting our food. 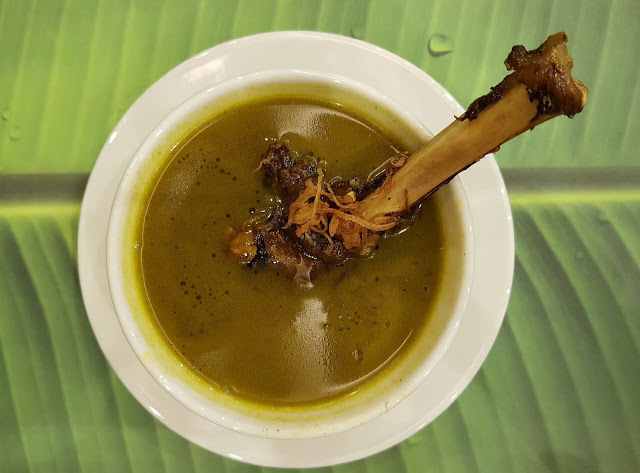 We started with a soup - the malabar mutton soup made from bone marrow. I really liked the flavour of this one - the spices as well as the bone, which also had a bit of a crispy part of top. For the appetisers, we had prawn porichatu. The masala on this one was nice and really gave a good flavour to the prawns. The chicken porichatu was also pretty good. The chicken was well cooked, and the curry leaves added to the flavour. This is a casual place in Design district that invited us to try the lovely food and beverages. 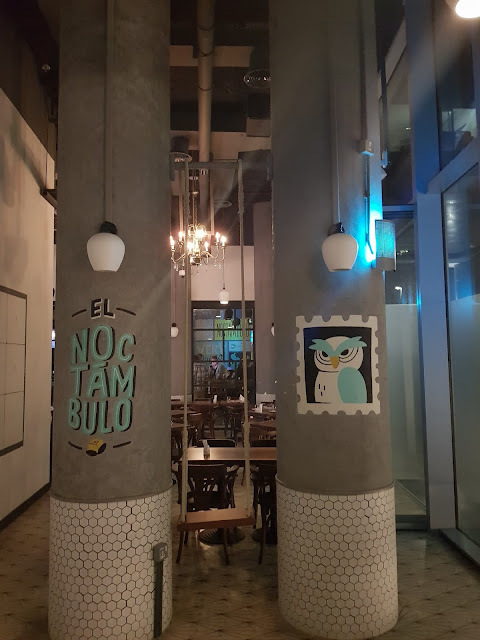 The word Noctambulo means nocturnal (a night owl) in Mexican. I was pleasantly surprised to see a place so casual in this area. The ambience is dimly lit, of which I am not a big fan. They play Spanish songs and the place has a Mexican vibe to it. They have some really interesting Mexican drinks. The chelato caught my attention and I asked them what is it. It is a mix of sauces (poison sauce, lime juice, lemon pepper & tajin chili) that tastes like tomatoes and is spicy. It is had along with beer. This was totally new to me and I called for this. They got a glass half-filled with this and I asked for Sol as my beer. You pour the beer in this and have. It was something I had never had before. It tasted a bit like Bloody Mary. If you like a tomato based spicy drink then only you might like it. 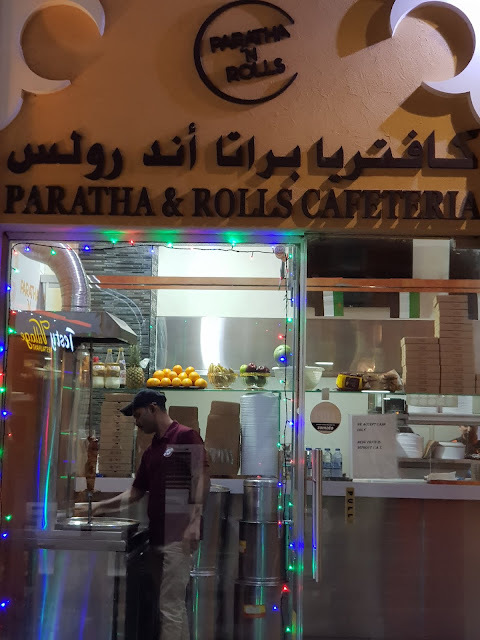 This is a newly opened restaurant in karama that serves a bit of Bengali fusion too, but most of the dishes are North Indian and they're really good at it. 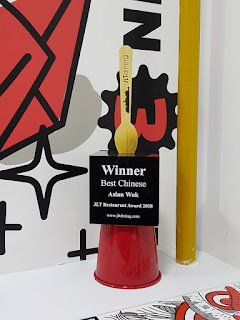 I was invited to try out the food. Some of the portions pictured here are lesser since they were tasting quantities. As we waited for our food, we had a cup of hot adrak chai (ginger tea) which was so comforting. 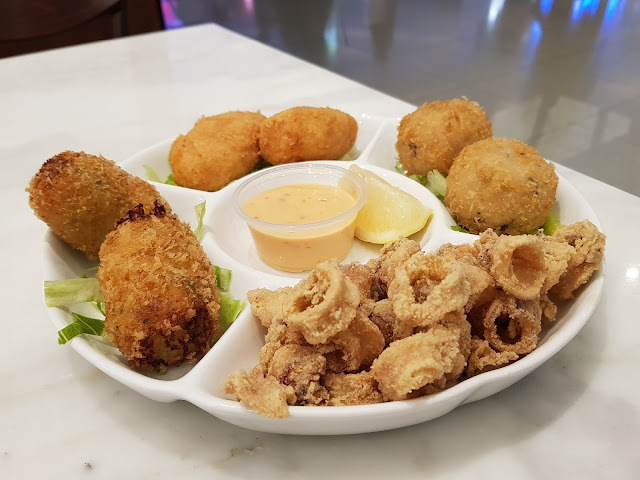 We started with a platter of appetisers. I'll name the vegetarian ones first. Being a fan of potato, I really liked the Aloo ke gutke. These were almost bite-sized pieces of potato with a flavour filling in it. The lasuni paneer tikka was a tad bit bland for me, but that's what it usually is since it is just lasooni and not with too many other spices. If you're a fan of broccoli, do try the vilayati brocolli tikka. The broccoli tasted fresh and really flavourful. The non-veg ones too were really nice.